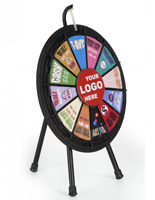 These trade show prize wheels are an affordable and eye-catching promotional tool! 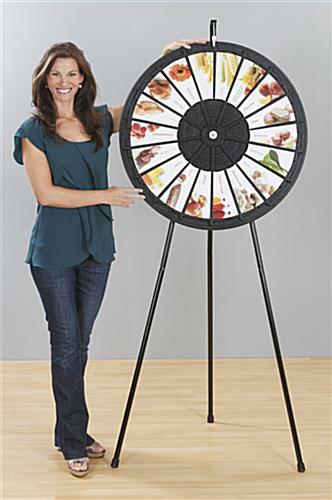 This freestanding award wheel, also known as a Wheel of Chance, stands six feet tall when its detachable legs are attached and has a wheel diameter of 31". 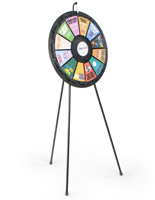 These gaming product, sometimes called Wheels of Fortune, can also be used as a tabletop game wheel by removing the lower leg extensions and placing the rubber feet onto the upper tripod stand. 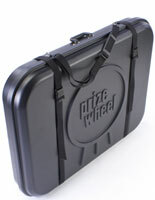 The wheel itself is made of durable PETG plastic while the legs are high quality powder coated steel. 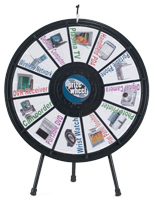 These game wheels weigh only 14 lbs and can be easily taken apart and transported. 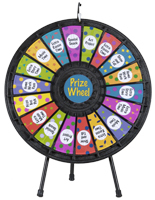 Each game wheel has 18 slots for inserting signage, allowing you to have a wide array of prize options. 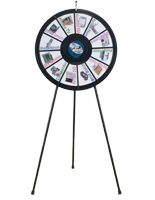 With award wheels such as these wonderful game wheels, you can determine your own prizes and create your own inserts on any computer. 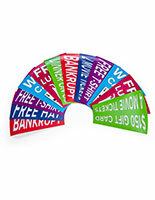 We provide these game wheels with printing templates. You can produce inserts in Microsoft® Word or Adobe® Illustrator®. You can also add your own logo or any other images you like to the center plate. 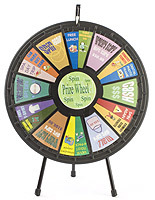 The game wheels spin easily so they can be used by almost anyone. 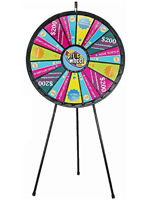 Promotional displays like these prize wheels add fun to any gathering! 31.0" x 73.5" x 34.0"